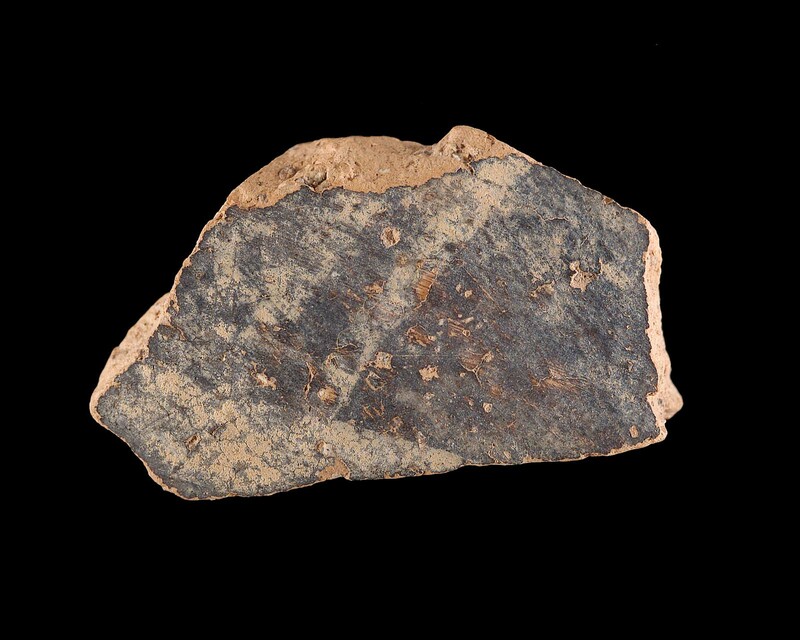 Fragment of wall of vessel. Light on Dark Ware. Buff ware with inclusions and grayish-black slip on exterior. Two vertical and one horizontal buff bands.